Most people are unprepared when a flash flood occurs. 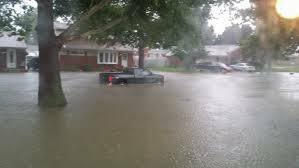 In 2016/2017 there were several flash flood events which resulted in deaths, injuries, property damage, property loss, as well as the inability to recover without government assistance. Insurance reimbursement was a huge challenge for many, especailly when attempting to verify personal property loss. We recommend contacting your own independent insurance adjuster – we also recommend documenting all damage with clear pictures that are timed stamped. Although the information listed below is obviously too late for communites effected by recent flooding eveents, it it critical to have this knowledge and take appropriate actions prior to a flooding event. o Follow weather developments at all times via radio or television, especially if you live in flood prone areas, according to FEMA. Flash flooding can occur within minutes, so if your local report identifies your immediate area as being under a flash flood warning, move to higher ground immediately and do not wait to be specifically told to do so. Be aware that flooding may occur even without the obvious signs of rainy weather. It is possible to experience flooding when there are no dark clouds in the sky or rain falling. Storm surges from the sea and levee or dam breaks can cause flooding in certain areas. o If you suspect an evacuation order is a possibility in your area, you should begin preparing your home appropriately, according to FEMA. Bring lawn furniture inside and move any essential items or objects with sentimental value to upper floors or the attic if possible. If you are instructed to do so by authorities, turn off utility mains. Disconnecting electrical appliances may prevent danger for you and your family should water suddenly enter the residence. Never deal with electrical outlets or equipment if you are standing in water. 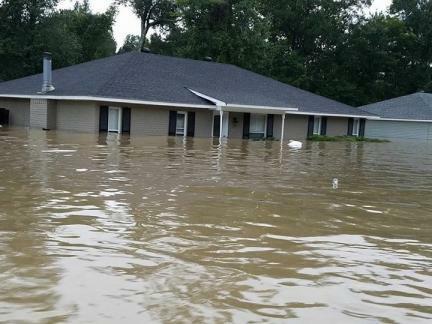 o During a flood you may need to leave your home for a safer place. If this happens, take precautions when moving about in a flood. Do not attempt to walk through moving water. Even if the water is only 6 inches deep, the force of the current may be enough to knock you down, according to FEMA. Carry a walking stick of some kind to help keep your balance and to check water depths in front of you. 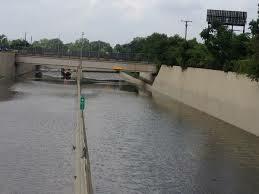 If you are in a car and floodwater’s begin to rise, abandon the car and take your chances on foot. You will be safer walking than you will be in a vehicle. o Drivers can quickly become trapped in their cars by flood waters and possibly be swept away as they transition from a place where water wasn’t a concern into a low, flooded area with swift moving waters. Do not drive in water that is even 6 inches deep. Even this seemingly small amount of water is enough to stall cars and cause a loss of control. Two feet of moving water will have a powerful enough current to carry away even a large SUV or truck. o Listen to a local news station using a battery-powered portable radio so you can receive the latest weather updates and follow the emergency instructions or procedures recommended. Whether you’ll be evacuating or waiting out the flood at home, gather a kit of emergency supplies, including a few days’ worth of clean water and nonperishable food such as granola bars, crackers, fruit, peanut butter and dry cereal; extra batteries for your radio; a cell phone; a flashlight with extra batteries; warm clothing; a blanket for each person; baby wipes; any prescriptions, medications or medical supplies you require regularly; essential paperwork such as insurance policies and baby supplies such as diapers and food if you have a baby. Determine an evacuation route and a safe meeting place for all household members and nearby family members in case of separation; the meeting place should be outside the flood disaster zone. Write down the address and phone number of this location and make sure all of your household members have the information. If you have a pet, locate an emergency shelter that accepts animals as most shelters designated for people will not accept pets. Take this step even if you plan to evacuate to a motel, hotel or a friend or family’s home in case you cannot make it to your destination and need to seek out a shelter. o Turn off all utilities using your home’s main power switch and close the main gas valve; then, disconnect all electrical appliances. Turning your refrigerator and freezer to the coldest temperature setting will help preserve food as long as possible. Move your most valued items such as family photographs, heirlooms, artwork and expensive electronics to the top floor of your home. If you have time, bring in outdoor furniture, trash cans, grills and other items or tie them down where they stand using heavy duty rope.